Because conditions such as stress, depression, and even those, such as schizophrenia, can result from issues with our work. Which has led to, according to the Go Home Healthy campaign, around 595,000 sufferers of depression, stress, and anxiety in the workplace. Luckily, employers can play their part in improving this statistic! But, you may not know what to do or where to start. Thankfully, there are some great resources out there. 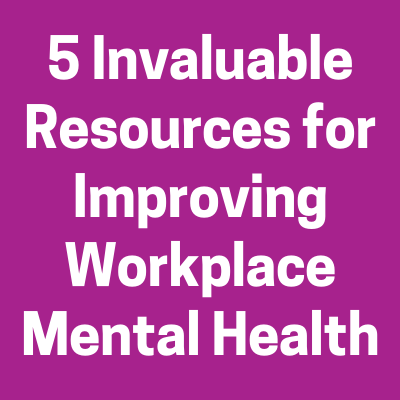 And, in this blog, we will take a look at 5 invaluable resources owners and managers can use to help take action in your workplace. Hopefully, you can see by these statistics the importance of taking mental health seriously at work. Launched in 2018 by the Duke of Edinburgh, this site is a collaboration between Mind, Heads Together and The Royal Foundation. It’s aim? 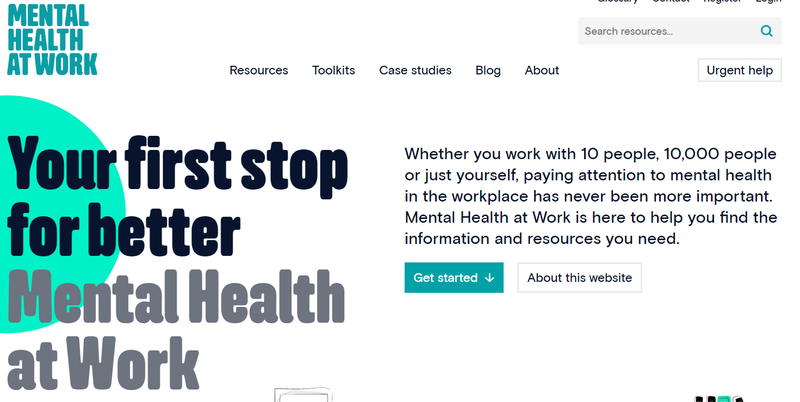 To act as a gateway to information, resources and toolkits all designed to help businesses improve mental health in the workplace. Boasting over 150 different mental health resources makes it a must when you’re looking for guidance. Don’t miss the toolkit section where resources are grouped together around a central theme. These are especially useful when you have identified an area of mental health you’d like to target. This could be promoting a positive safety culture or tackling workplace stress. Fancy committing to improve mental health within the workplace? Take the employer pledge with Time to Change. When you sign up to the pledge, you’ll first submit your action plan for getting employees talking about mental health. Time to Change can provide support during the creation of this plan to ensure that your plan works for you. If you are looking for a great place to start your journey, take the pledge. 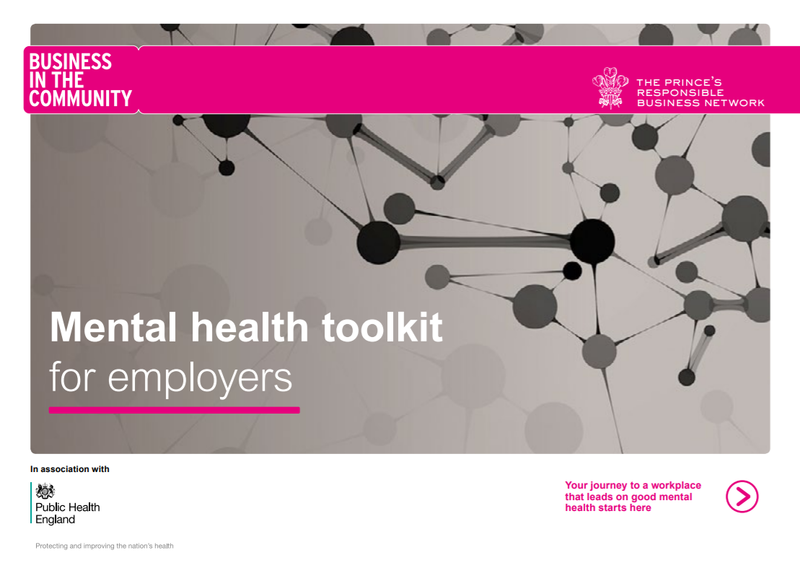 This toolkit was born from a collaboration between Business in the Community and Public Health England. Both organisations wanted to create something that offers practical guidance based on the research and evidence surrounding mental health. Jam-packed with useful information, this 68-page toolkit can be used by owners and managers alike. In addition, several case studies provide a glimpse into the types of actions other companies have taken to tackle mental health issues. An excellent resource for those who need actionable advice. Starting a conversation about mental health can be tricky. Even more so if you don’t know what to talk about. Fortunately, the Go Home Healthy campaign has produced their talking toolkit in a bid to reduce workplace stress. These difficult conversations allow employees the chance to open up about their roles and whether any aspect is causing them unnecessary stress. Use the answers to spot any regular issues and address the core problem behind them. Line managers and supervisors are a key group of your staff that need to champion mental health because they deal with your workforce on a day-to-day basis. But, if they don’t know how to manage mental health issues, then it can be hard to build a good workplace culture. In steps this gem of a resource. 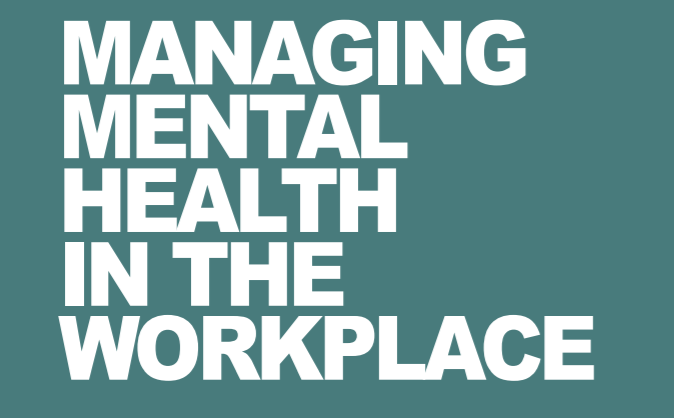 Managing Mental Health in the Workplace combines theory with practical exercises to get you thinking about the prevention, protection, and intervention measures your business can put in place. Adequate training for your managers can pay dividends when trying to improve mental health in the workplace. And, this offers a great first step. And, finally, lets take a look at some of the important dates for 2019 surrounding Mental Health and see how you can get involved. Children’s Mental Health Week – 4th – 10th February 2019: This year Children’s Mental Health Week is looking to improve both mental health and physical health because a healthy body helps to create a healthy mind. Time to Talk Day – Thursday 7th February: Time to talk day sets out to get people engaged in conversation around mental health in order to help end the stigma. Mental Health Awareness Week – 13th – 19th May: This year, Mental Health Awareness Week is aiming to tackle the subject of body image and mental health. World Suicide Prevention Day – Tuesday 10th September: This day throws suicide into the spotlight and aims to bring a greater understanding of suicide and how it can be prevented. National Stress Awareness Day – Wednesday 6th November: This day helps to raise awareness for stress and the effects it poses to mental and physical health. There is no doubting that the workplace has to part of the responsibility for keeping their staff happy and healthy. Slowly, but surely, we are realising this. Employers and employees are waking up to the fact that good mental wellbeing at work is extremely valuable. Now is your chance to act for the greater benefit of your working environment. Which resource will you use? Which is your favourite? Is your business taking mental health seriously? Food Contamination: A Guide for Food Businesses Yorkshire’s Ambulance Response Times: How Long Will You Be Waiting?